You don’t have to embark on a huge kitchen renovation project to make a big difference in how your kitchen looks. There are many small things you can do to update the look of your kitchen that are affordable and quick and easy. Even if you have company coming in the next day or two, you can easily implement these changes to give your kitchen a facelift. While it’s true that switch covers and vent covers are not very exciting, they are a part of almost any kitchen and if they are going to be there, they might as well look attractive. Removing them is simple; just use a screwdriver to do the job and you can either clean them and paint them or replace them altogether. Vent covers are pretty much the same; you’re not going to make a statement with them so the best thing to do with vent covers is to make sure they attract as little attention as possible, which you can do by ensuring they are clean, new or freshly painted, and free of dust. You can get a little more creative with switch covers, though. You’ll find a wide variety of them online and at home improvement stores or you can update the old ones yourself by painting them or covering them with wallpaper or even fabric. Switch covers come in a variety of finishes and you can even find themed ones to match your décor if you like. 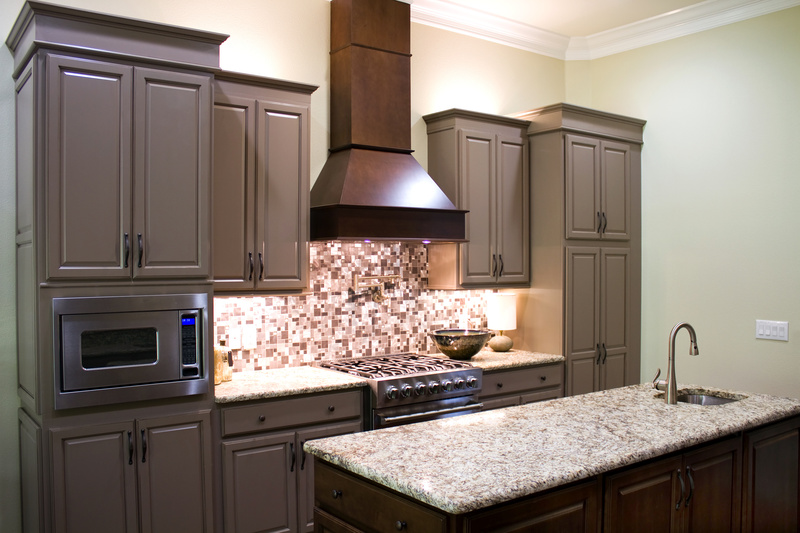 Updating kitchen cabinet hardware is an easy and affordable way to add a splash of color or elegance to your kitchen and only takes a few minutes to install. Here, again, you have a wide variety of choices, but for quick fixes, be sure and get the type that will fit where your existing ones are or you will turn a small job into a much more complex one. Alternatively, you can simply remove existing hardware as long as it is in good condition and give it a fresh coat of paint for an updated look. While it costs a pretty penny in the best of circumstances to replace major kitchen appliances, replacing the countertop variety with a matching set won’t set you back that much and will make a big difference, especially when coordinated with the other small changes we have discussed. You don’t need very many small appliances; in fact, less is better. Try to choose the kind that can do double duty, like food processers. Also, where possible, opt for under cabinet varieties, such as can openers. While you don’t want your kitchen counters cluttered, color coordinated small appliances can add a splash of color and instantly update a tired kitchen.